John Kelly is 69, retired and lives in Melbourne. He holds a Bachelor of Communications degree majoring in Journalism and Media Relations. He is the author of four novels and one autobiography. He writes regularly for The Australian Independent Media Network and on his own blog site at: The View from my Garden covering a variety of social, religious and political issues. With the possible exception of the “children overboard” scandal in 2001, their deceit is palpable. ‘Children overboard’ lies at the heart of it, because that’s where it began. A lie that gathered momentum, despite evidence to the contrary, which then compounded itself exponentially with the aid of a compliant media, until it became unstoppable. Since that shameful episode, flagrant lies have not just become the norm for the Liberals, they have become more and more sophisticated in their delivery. From babies overboard to interest rates always being lower under Coalition governments, from Abbott’s, no cuts to the ABC, to his equally dishonest lies about the Carbon Tax, the Coalition have always had the media on their side, prophesying doom and gloom of one kind or another under a Labor government. Today, in 2019, nothing has changed. From their budget costings to electric cars to tax projections to border protection to energy savings and climate change, they reveal themselves as a party that lies its way to power. The reopening of Christmas Island was a stand-out attempt to create an atmosphere of panic. It was laughable, but it showed us all how desperate they are. But of all their deceptions and outright lies, nothing surpasses the perception that they are the better economic managers. The very notion is false and absurd and flies in the face of all the evidence. A classic case is the “debt and deficit disaster.” How have all the deficits of the last 12 years impacted on the Australian economy? Were they really the Armageddon so crudely and politically promoted by the government? Has employment improved? Are people better off today than they were in 2013? Did they really “create” a million jobs over the past five years? No, they didn’t. Those jobs came as a natural consequence of population increase. It has always been thus. As we stare down to May 18 and the election we have to have, albeit six months early, perhaps we should take a moment to reflect on the monumental dishonesty of the Liberal party and their lapdogs, the Nationals, on the economy. After all, it is their vanguard, their flagship, the issue they boast about so profusely. We need to go no further than Josh Frydenberg’s budget, handed down last week. Point one, the budget is not back in the black and is unlikely to be. This is actually a good thing, something Frydenberg would not understand, even if it were explained to him in words of one syllable. He simply doesn’t understand that budget surpluses restrict economic activity. They are not money in the bank. Point two, the economy is not stronger today than it was in 2013. Compared with our trading partners, our competitors and the general cost of living, we are weaker. Point three, we have not reduced our gross debt. The reality is, we have doubled it, not that it matters anyway. Our gross debt represents the selling of government and treasury bonds all of which are issued in Australian dollars. As we are also the issuer of Australian dollars, we could extinguish that debt today by issuing the equivalent amount, crediting the bondholder’s accounts at the Reserve Bank and it wouldn’t raise a ripple in a bathtub. The bondholders would simply clamour to buy more bonds. Point four, they are not a lower taxing government. The Morrison Government is taxing our economy at a higher rate in 2019 (23.3%) than was the case in 2013 under Labor (21.3%). Point five, since 2013, wages, relative to costs have declined, national savings have declined, growth in the value of exports has declined, public services have declined, evidenced by the reductions in staff numbers in the Taxation Dept and Centrelink. Overall, our economic ranking has fallen from number one in 2013, to number twenty-one in 2019, on the IAREM rankings. This election, we need to, not look over there, we need to ask every question and question every answer. Their capacity to conceal truths, propagate lies and deceive the electorate is extraordinary. But it is only able to happen because of poor journalism and a media juggernaut that allows it to happen. And that is a direct assault on our democracy. The Liberal party don’t embrace democracy, the use it to stay in power. In reality, they despise it. For these and a multitude of other reasons, they don’t deserve to be in government. Putting aside all the pork barreling and the mea culpas of the Josh Frydenberg 2019 extravaganza, what is really scary about this Fiscal Statement (aka Budget), is the forecast of surpluses over the forward estimates. Between now and 2024, if nothing else changes (a really big ask), nearly $40 billion will be taken out of circulation, a $40 billion theft of public money that the private sector will have to replace and service. 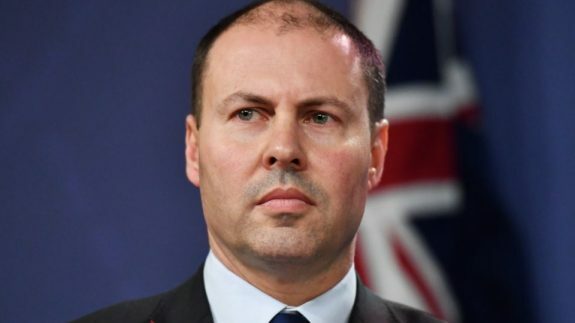 Some of this replacement money will be corporate debt, some will be mortgage and/or credit card debt and Frydenberg seems to have ignored Australia’s private debt to GDP ratio, which is currently hovering around an alarming 200%. It is one of the largest in the OECD world and the budget projections, if realised, will push that figure higher still. There has to be a breaking point in this trajectory, a point where consumers can’t cope with any more debt. It will be a point, when reached, that will have devastating consequences on the national economy. It is consumer spending that drives our economy. Once that stops, or slows, economies collapse. Frydenberg might think that the mining sector puts food on our tables, or that foreign students who pay exorbitant rates for their education pay our consumer bills. They don’t. It is our purchasing power, our individual and collective ability to spend that drives our economy. That spending power is contingent on our disposable income, that is, what is left after we have paid the mortgage, bought food, paid for power or the rent. We saw all too clearly what happened to consumer debt when John Howard and Peter Costello were lauded for producing multiple surpluses between 1998-2007. Private debt rose dramatically as new money created on the credit card replaced the money the government removed from circulation with their surpluses. A simple test demonstrates this: Imagine there is $1000 in a pot. The owner of the pot removes $300 and replaces it with $150. Now there is only $850 in the pot. So what, you say? The problem is that all of the $1000 was needed to pay for essential services. The only way those services can continue now, is for someone other than the owner, to either top up the pot by drawing down on his/her savings, or by borrowing and incurring the subsequent associated costs. Either way, hardship of one kind or another follows and there is less spending on the part of the contributor, because they have less to spend. If the owner continues to take more from the pot than he puts back in, year in, year out, eventually the spending capacity of those who rely on the pot will be severely restricted. This is what a surplus does. The bad news is, that we are already at that position now! Our economy is slowing, people are cutting back on spending, mortgage stress is increasing and jobs will soon be threatened. Some might say all this is not very good, but at least the government has an extra $40 billion in the bank. Well, yes and no. Firstly, the government doesn’t need money in the bank. It creates the money when it spends. Why would a currency issuer ever need money in the bank? Secondly, what is the point of the government having money in the bank when it’s needed to service ongoing economic activity that stimulates spending and keeps people employed? Why is Josh Frydenberg not being challenged on this, the most basic of laws in a market economy? Because economists don’t understand this. 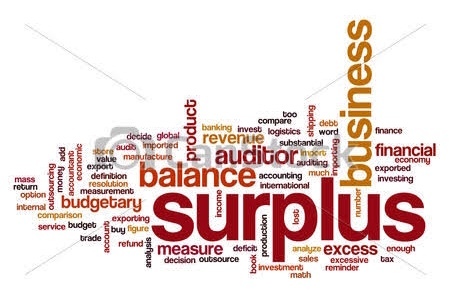 The only time a government can justify a surplus is when there is too much money in the pot. One can only hope that an incoming Labor government can be convinced that this is not one of those times. Frankly, I’m not holding my breath. It has been the legacy of Conservative governments over the past 50 years to deliver underperforming economies to incoming Labor governments while at the same time, flaunting false credentials, refusing to acknowledge their own failings. How it is, that they have been able to convince the public that they are better economic managers, while systematically undermining the living standards of the average household, is something that requires a good deal of in-depth analysis. But as each week passes, we continue to see their form on display. Take our current Energy minister, Angus Taylor who argued fiercely on Insiders last Sunday that Australia’s greenhouse gas emissions were coming down. Notwithstanding that our emissions have increased every year since 2013, the year Tony Abbott, as prime minister, abandoned the carbon tax, Angus Taylor was quite emphatic that they were coming down. He did so on the strength of a slight reduction in the December Quarter of 2018. Minister for the Environment, Melissa Price made the same observation a few days later. It was classic Liberal spin. Today, on the release of the December quarter GDP figures which revealed a disappointing 0.2% growth, (annualised at 2.3% but just 0.9% for the second half of last year), our Treasurer, Josh Frydenberg interpreted this as good news, by reminding us that Australia was growing faster than any G7 country, except the US. By using that twisted logic, he was avoiding the underlying truth. One can interpret a set of numbers any way one likes. But in doing that, Frydenberg ignores the reality that our economy is slowing. Choosing to boast some meaningless international statistic rather than face up to the microeconomic impact of life at home, is more classic Liberal spin. Josh Frydenberg needs be reminded of that, although it’s doubtful he would listen. The microeconomic impact of today’s GDP numbers is that we are now in a per-capita recession. That means economic growth per person has been in decline now for two successive quarters. That is the real news. The only reason we are not in a full-blown economic recession is because of population growth and government spending. How ironic is it, that while this government has done its level best to cut back on spending wherever they can, the only reason we are not in recession is because they haven’t cut back far enough? Does he really have any idea what he is saying? Our economy is retracting, an increase in unemployment is just around the corner, the only thing saving us from a recession is government spending and he is preparing a budget where he intends to spend even less, just so he can produce a surplus!! What madness is this? The economy is being starved of money, forcing households to draw down on savings while our treasurer is doing his level best to starve us of even more money. By what economic measure can this be a good thing??? Dissecting the numbers released today, we can see that consumer spending is outpacing income growth, which means households are taking on more credit or drawing down on savings, something that cannot be sustained, individually or collectively. But that’s okay, because Josh Frydenberg tells us that our economy is out-performing six of the G7 nations. It is highly likely that the March 2019 quarter will be negative. But we won’t know that until the first week of June when, in all likelihood, a new Labor government will have only just been installed. Once again, Labor will have to inject stimulus money to revive a weak economy and suffer the misfortune of an electorate that believes them to be an inferior economic manager. The irony is gobsmacking. It happened in 2007, in 1983 and in 1972. It seems to validate the claim that Labor governments have to be twice as good as conservative governments, to be judged their equal. Falling living standards are always the result of fiscal austerity, something for which conservative governments can pride themselves in excelling. This is what Labor will inherit. Once again, they will have to do the same job all over again. Politics in Australia has descended into the pit of the abyss. Take note! The conservative forces in politics are about to unleash one massively negative campaign upon an unsuspecting Australian electorate. 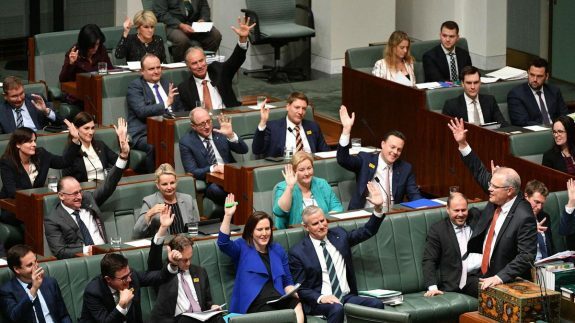 The Liberal/National Coalition, devoid of any remaining life-saving credentials, will be unrelenting in their efforts to demonise and defecate on the Opposition, all in the name of winning at any cost. They will employ all manner of fear, skullduggery, deceit, confusion, wedging and sheer deviousness, in a desperate effort to regain lost ground and minimise the damage their behaviour over the past five years, has created. Take note! 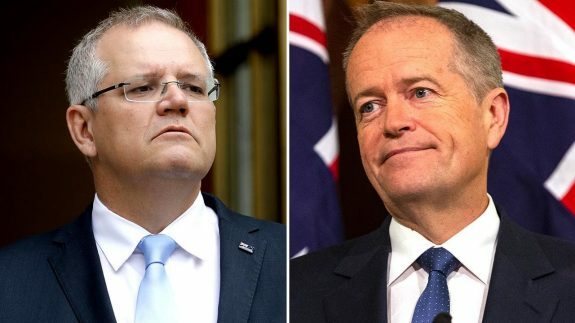 We can expect that they will say anything, claim anything, make full use of their sympathetic right-wing media attack dogs, misuse their departmental offices, produce misleading reports and make desperate, unsubstantiated claims about any issue they feel might reflect poorly on Bill Shorten and the Labor Party. In doing so, they will try every known trick in the book and beyond, to deflect attention from their own shortcomings, their disunity, their own disgraceful behaviour. They will do everything they can to ensure all the media attention is concentrated on Labor. As sad and pathetic as that might sound right now, that is the state of play. The Coalition has its back to the wall. They realise only too well, that their only hope of winning the election in May, is to paint the Opposition in the darkest possible light and to aim their artillery directly at Bill Shorten. One can only imagine how low they will stoop and the depths of deceit they are willing to go. We are witnessing it already being played out in a warm-up run, if you will, with outrageous claims by Christopher Pyne and Peter Dutton about all refugees on Manus and Nauru being brought here on medical grounds within weeks. Pyne, Dutton and others are claiming that the boats (not those bloody boats again) will be cranking up their wobbly, unserviced engines, as if they are already lined up, full of asylum seekers, just waiting to leave some undisclosed Indonesian port, once this week’s Storer, or Phelps Medivac bill has been passed. Those bloody boats. Really? This pathetic mantra has been played and played and played now for nearly twenty years. The Coalition believes its venom is still virile enough to strike fear into the hearts and minds of a gullible electorate. One wonders though, whether Australians are not so heartily sick of it today that they have turned off already and wonder why Morrison et al bother. Then there is the economy and this obsession with producing a budget surplus. Are we not also sick to death of that as well? But sick of it or not, it is about to be thrust down our throats once more. All this and more because, for the Coalition, the thought of losing the election, makes them shudder. For them, it is Armageddon. Not for them a turn on the Opposition benches. That’s no fun. That’s too hard. Never mind the failures they refuse to own; the underutilisation of our workforce, their soft pedal on the banks, their inability to develop a sustainable national energy platform, not to mention any semblance of a climate change policy, a properly funded health service or a cutting edge education standard. For the Coalition, it is all about winning, not governing, just winning. Christopher Pyne has said as much. “Politics is trapped in a self-obsessed and panic-prone spiral that is damaging Parliament’s ability to work for the good of voters.” That is code for not being able to get anything of substance done. He also explained (finally), some of the thinking inside the party room meeting that saw Malcolm Turnbull sacked. One suspects that’s all the Liberal party thinks about….It’s all about winning. Not governing, just winning. Let government take care of itself. Any idiot can govern, but better us idiots than some other idiots. But here’s the kicker. Never underestimate the ability of the electorate to fall for their rhetoric and vote against its own best interests. For a party devoid of policies and effective leadership, a negative campaign by the Coalition is all they have and for them, as lazy as they are, it’s the path of least resistance, one in which they have form. Remember the ‘debt and deficit’ farce? But, the results can be devastating for an Opposition. Take note! The election is not won, until it’s won. Politics is a game. Its other name is, “beat your opponent.” To win you say whatever you must to get votes. In this game, truth is the first casualty. Thus, facts are an inconvenient truth that need to be managed in a way that can serve one’s best interests. If that means distorting, engineering or misrepresenting, then that’s what political parties do. Prime Minister, Scott Morrison announced this week a promise of 1.25 million jobs over the next 5 years. What he didn’t tell us that 250,000 new jobs annually, is about the average job creation rate that has occurred naturally over the past decade. It is due mostly to population increase, of which immigration is a major contributor. It is not due to any government jobs and growth initiatives. That’s Morrison playing the game. He has taken something that happens naturally and presented it as something positive and creative about his government’s performance. Interestingly, Tony Abbott pulled the same trick in 2013. It might be in the Liberal party manual. If the Coalition had been creating jobs over the past five years, then one would expect some reduction in the number of people actively looking for work over the same period. In September 2013 there were 706,400 people unemployed. In December 2018 there were 680,800 seasonally adjusted. The unemployment rate has gone down, but only because more people are participating. Good journalism is supposed to see through deceptions like this and call them out. One fears we are going to see a lot more of it from the Coalition over the next three months, because the reality is, they have done precious little about jobs and growth. As the federal election draws near, you can be sure the mainstream media (MSM) will waste much of their time on the trivial and ignore most of what’s really important. We can confidently anticipate that policy initiatives will take second place to personalities, preferred music, how one dresses, which candidate better manages eating the great Aussie meat pie, and so on. Things like the preferred prime minister, which looks at form and completely ignores substance, will be a weekly, if not a daily talking point for the breakfast shows, radio shock jocks and evening television satire. Negative wedging will also be the order of the day for the journalists on the hustings, desperate for a scoop. Get one candidate to confirm or deny what might sound like some vague reference to a statement by a staffer that was misinterpreted by a journalist while he was asking about something else altogether and before we know it, the campaign has been side-tracked from the real to the imagined. Journalists love this kind of triviality and they will spend a lot of energy trying to catch candidates out on their knowledge, or lack of it, on what the tax rate is for pensioners or what the current mortgage rate is, or how much a loaf of bread costs, or even the population of Broken Hill. This is exactly what the Coalition would want. They will do anything to deflect attention away from policy initiatives because they don’t have any. And you can be sure a compliant media will knock themselves out each day, trying to deliver those meaningless fifteen-second sound bites for the 6pm news, regardless of their relevance to good government. While Labor has made its position clear on education, climate change, negative gearing, superannuation concessions, family tax benefits, education, Sunday penalty rates, infrastructure, multi-national tax avoidance, imputation credits and a more humane approach to Asylum Seekers, the Coalition has been doing the bidding of the IPA. Deregulation of business; privatization of public activities and assets; elimination of, or cutbacks in, social welfare programs; reductions in aged pensions, pay-as-you-go health care, and tax breaks for business and the investing class, are all part of its manifesto. If Scott Morrison has his way, the big issue will be the economy. The electorate rate him and his government as better economic managers. They are wrong about that, but he knows the media are not smart enough, or won’t want to challenge the outrageous claims we can expect to hear from both him and Josh Frydenberg. The reality is, the Coalition has failed miserably with the economy and they know it. Over the past five years, low wage growth has seen our living standards decline and inequality increase. Every act, so far, by the Coalition government has exacerbated that inequality. This time, however, the voters know it too. They feel it. They know that the ‘debt and deficit disaster’ mantra was false. They have seen the ruthless approach in cutting funds to vital services. The Coalition has demonstrated all too clearly that they govern for their masters, the corporate sector, the mining industry, the banks, the finance houses. This election, if we want facts to matter, we need to reinforce them across every social media platform we can access. We cannot rely on the MSM to their proper job. We must to do it for them, shame them, expose them for their dereliction of duty and ensure that those with whom we are in daily contact, know the facts. And we need to do it loudly. This election, facts will be important; actual facts, that is, not the ones spin-doctored to make them appear something they are not. We need to ask the right questions and ensure we question all the answers. There are so many of us that think January 26th is a dreadful choice for a national celebration of nationhood, one wonders why a change of date struggles to gain more traction. Why do we punish ourselves so? Choosing to celebrate the birth of our nation on a day that commemorates the arrival of the first fleet from England, shows just how small-minded we are. Does any other nation celebrate its nationhood on the date that marked its colonisation? It’s not as if there weren’t any other appropriate days upon which to mark this occasion, not the least of which is January 1st, symbolically the date we actually became a nation. But to use a date when only a part of the country became an English colony….when the majority of the population in situ at the time, had already been here for thousands of years, seems to defy logic. If logic had anything to do with it, we should be considering May 9th, which marks the opening of the first Parliament in Melbourne in 1901. It is the date the new Parliament House was opened in Canberra in 1925 and the date the second Parliament House was opened in 1988. How’s that for a trifecta? Every year, as this embarrassing time draws near, out come the cries of distress on one side and the staunch reinforcement on the other. It’s so juvenile, no wonder so much of the country has switched off on both the conversation and the celebration. I remember when it used only to be acknowledged as a long weekend at the end of January regardless of what day of the week it actually fell. No one thought anything of it. No one cared. It was a non-event. We just wanted the long weekend. What a tragedy! In 1994, just 25 years ago we decided to recognise the day, ON THE DAY. What happened? Instead of it being a very convenient long weekend that marked the end of the summer holidays, the last day before everyone went back to work, which was really the only thing on anyone’s mind, each state government agreed to make it a formal affair. Who asked them to do that? That was the time we should have had a real conversation about choosing a more appropriate date. What were those bogans thinking? Where was the movement for change? Now, as matters stand on the day, we all pretend our patriotic spirit extends to having a wonderful time on a day we used to ignore, a day we now have barbecues and parties, get drunk and a new generation of bogans drape that equally controversial flag around their shoulders. So here we are. Another year will come and go, one will reflect on how dumb it all was and how the banality of it all was overtaken by the controversy it generated. Little wonder our first nations’ Australians look upon us and shake their heads in bewilderment. 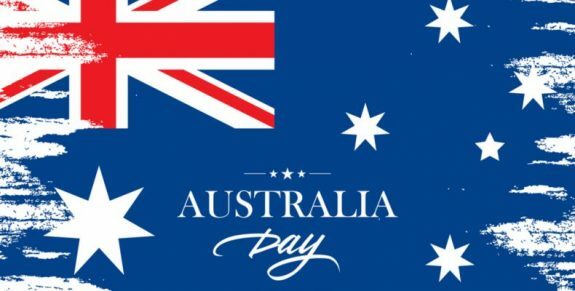 Rather than call it Australia Day, we should rename it ‘idiots’ day,’ or ‘bogans’ day’ to commemorate the stupid thing those bogan state representatives agreed to in 1994. To add insult to injury, this year we have our fearless, feckless prime minister entering the fray, flexing his muscles and warning all local councils to stop fooling around, stop wearing shorts and thongs and make things more formal. For me, January 1st is the day. Forget that half the country is recovering from a hangover. Just keep the party going for another 24 hours. Australia, we can do better. “It’s taxpayers’ money,” is an all too familiar cry, from media reporters when they try to expose spending waste, welfare cheats, or excessive expense claims by politicians. It resonates well with taxpayers. It’s good promotional advertising for those with an agenda, whether it be a current affairs program, a publicity-seeking politician, or community groups unhappy about their latest funding cuts. It even floats into the general conversation around the barbeque or the dinner table. Everyone uses it to add emphasis to their point of view. Taxpayers’ money is never spent. Taxpayers’ money does not fund federal government spending. As hard as it might be for the average worker to grasp this simple fact, when the penny does finally drop, it can’t be un-dropped. Once the average person understands the purpose of taxation and its relationship with public spending, an intelligent conversation can begin. But not before. The simple example of the bucket with a hole in the bottom should be enough for people to realise how wrong their perceptions about taxation have been. The tap that fills the bucket with water, is government spending, the hole at the bottom is the collection of taxation. They are two quite separate functions. All federal government spending is new money created by the government through the agency of the Reserve Bank. It deposits funds into the commercial banking sector to generate economic activity. It guarantees the reserves required by the banks to lend money. All it needs, is one computer to digitally transfer a set of numbers to another computer. That’s it! At the other end of the process, money is drained out of the system to maintain a balance that ensures just the right amount remains in circulation to maintain stability. We call it taxation. How hard is it to understand this? What happens to the taxation money that is drained out? It is credited against the money the government has spent, thus reducing the overall level of money created. In the banking system, that is what happens when you repay a loan. Your repayments are credited against the outstanding balance, thus reducing your liability to the bank. Taxation reduces our liability to the government that created the money. So, is that so hard to grasp? If you have ever borrowed from a bank, you should know how that works. Now simply apply the same procedure to government spending and taxation. Voila! Of course, there will be those who will counter this explanation by saying that there is a limit to the amount of water in the tap. Not our tap! It can’t run out of water anymore than a scorer at a football match can run out of scores, or a mathematician can run out of numbers. A currency issuer (our federal government) can never run out of money to issue. Furthermore, a shortage of taxation revenue, in no way, restricts a currency issuing government from spending. There are those who know all this and try to explain it to others only to be rebuffed and ridiculed. Perhaps it is because the explanations have been too complex. Perhaps it has been because the recipient has been so indoctrinated by the media, our schools and universities that for someone to come along and challenge such time-honoured maxims is too much to absorb. There’s an election looming. Perhaps they could be reminded that a flat earth was also once a former time-honoured maxim. Bon chance mes amis. Neil Prakash was born in Australia, he is an Australian citizen, he is not the citizen of another country and whatever legal advice Peter Dutton claims to have been given, nothing will change those two facts. Therefore, any attempt by Dutton to strip him of his citizenship would be illegal and frankly, a waste of time. However, when one reads between the blurry lines of political games, one suspects that impediment has not entered Dutton’s mind. Stripping Prakash of his citizenship is not Dutton’s intention. Don’t be fooled. 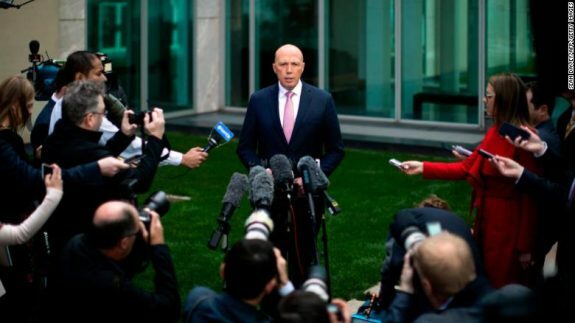 This sudden burst of strong-man bravado by Peter Dutton is just a warm-up tactic. He is testing the waters. He is trying to find a galvanising issue with which to pursue, in the lead up to the election in, March? April? May? He is fighting for his political life. Not just is his government facing an electoral wipe-out, his own future in the seat of Dickson is under serious threat. If an election were held today, he would lose it and along with it, his ambitions to lead the country. So, what we have here, with the attack on Neil Prakash, is an attempt to find something, anything, that can corral the good people of Dickson and convince them to let him keep his job. Dutton’s games have begun. This is just the first salvo. There will be many more. To the majority of voters, the intention will be crystal clear, but for the people of Dickson, it might not be. This is an early example of what we can expect to see fired out of the conservative cannons in the coming weeks and months from the Liberal party brains’ trust. They will try anything. Like a cornered animal, they will grab at anything as long as they have breath. Their desperation to remain in government knows no bounds. That, as it happens, has been their undoing. They exist for one reason and one reason only. To perpetuate their own narcissism. And do not underestimate the spin that their media friends will apply. Whether it be the economy, immigration, border control or, more likely, something they haven’t yet dreamed up, the desperation they will display will be something to behold. Bill Shorten will be the focal point of their plans. His perceived lack of popular support is pretty much all they have. Their own lack of popular support, however, will be their downfall. So determined will they be to run a negative campaign, their lack of policy, lack of vision, their hypocrisy, their inept economic management, their pathetic attempts to create decoys that persuade us to look the other way, will ensure that they fail miserably. Whatever they hurl at Shorten, they overlook the fact that we have witnessed Bill at the helm of the Opposition for over five years now. We know what we are getting. More importantly, we know what we are getting rid of. Labor are ready. It’s their election to lose. But they will win, not just on policies that have been scrutinised and put to the test, but also their stability, their egalitarianism and their social platform. The question is, by how much? Historically, their majorities have not been great. Even when Gough Whitlam ended 23 years of conservative rule, they were always vulnerable. Bob Hawke, Paul Keating, Kevin Rudd and Julia Gillard all ran it close. That, in some ways has been their Achilles heal. Governing while looking over one’s shoulder is not conducive to getting the balance right. This time, however, all that might change. Let the games begin. When one takes a close look at the just-released MYEFO, one can rightly shudder with trepidation for the future of the Australian economy. 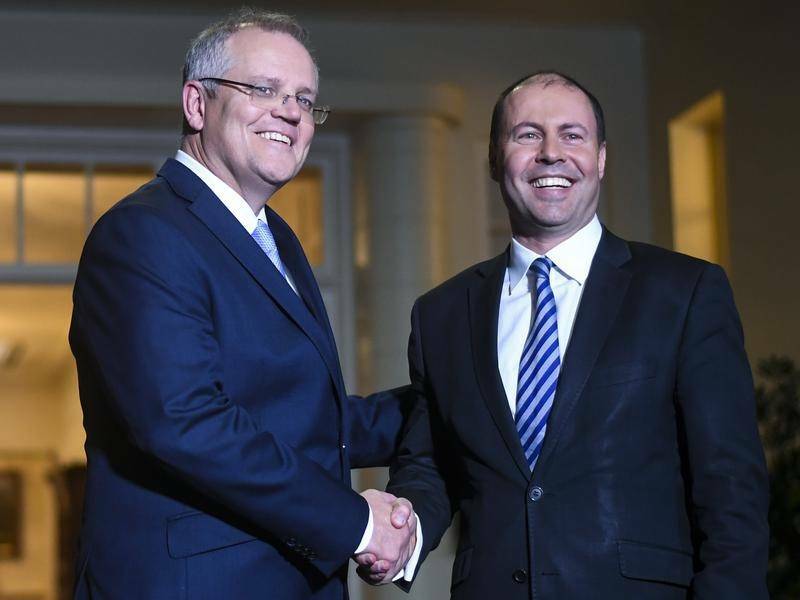 Pretend prime minister, Scott Morrison, who goes by the name Scomo, and his pretend treasurer, Josh Frydenberg, have set a forward estimates budget target that is scarily like the bad old days of the Howard-Costello era. They are projecting a surplus in each of the next three years. This is economic madness, made obvious by an already declining consumer spending trend, falling house prices and record private debt. It’s another case of rubbery figures, most likely worked backwards to deliver a set of numbers that mask trouble ahead, rather than an economic stimulus to get things moving forward. The thinking, one suspects, is that they can explain away a poor December 2018 quarter, which might well be negative in growth terms, but not have to face the results of a June quarter, 2019, which may well find the economy in recession. A poor, possibly negative December quarter will be made public in the quagmire of electioneering for a May federal poll, or even after a snap March poll, if Scomo thinks such a move is beneficial to his chances of remaining prime minister. This erratic leader of his party, one that is self-destructing a little more as each day passes, has no plan beyond conning the Australian people into thinking he has delivered the goods. Both he and Frydenberg are drowning in their own rhetoric of self-congratulatory praise for outcomes not yet realised. 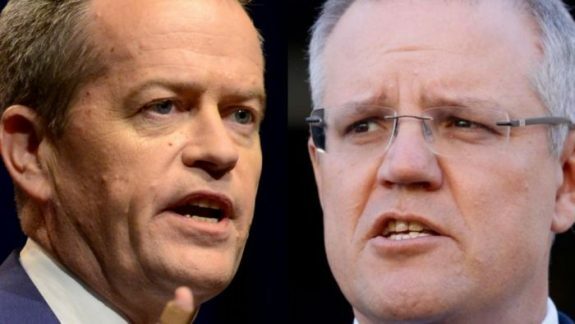 Both Labor and Coalition governments have delivered continuous deficit budgets for the past 11 years, including 2018-19. Sadly, neither can see that it had been these deficit budgets, modest as they have been, which have kept the good ship Australia, afloat. If there was a debt and deficit crisis in 2013, as so boisterously claimed by the present government, then what do we call it now, when by their own pathetic management, things are twice as bad. The future looks decidedly dark. A falling housing market will put the banks on high alert for mortgages that are now higher than the value of the properties they are financing. The banks will want to bring those loans down to more acceptable levels. Mortgagees on fixed salaries and stubbornly low wage increases, will not have the resources to raise the money needed to meet the banks’ demands. The result: foreclosure. Given that consumer spending is already slowing, such moves by the banks will further exacerbate the trend. This will do nothing to arrest Australia’s record private debt levels which will then lead to a rise in unemployment. This is what Labor will be facing when it wins government in March or May next year. Not a pretty picture, but one which Labor has faced before. Bill Shortens’s announcement of a plan to construct 250,000 new homes over ten years is exactly what is needed. It won’t do much to arrest falling house prices, but it will inject some much-needed activity to help offset the anticipated fall in employment. What won’t help, is budget surpluses which starve the economy of money. How hard can it be to get this message across? How hard can it be to explain this to supposedly intelligent men and women, successfully? The one saving factor is that neither Morrison or Frydenberg are likely to realise their overly ambitious forward budget estimates. No prime minister or treasurer over the last eleven years has been able to achieve that. In all likelihood, the status quo will be preserved. And while a coalition in opposition will see this as Labor’s failure, this time, it will be their credibility that is well and truly discredited. Come by boat and you will be denied entry to Australia for ever, but if you come by plane, it’s okay. This is the bizarre outcome the ‘stop the boats’ policy has produced. People smugglers are alive and well, doing great business, after changing their business model to accommodate the government crackdown on asylum seekers coming to our shores by boat. Figures just released by the Home Affairs department show that 27,931 protection visa applications were made in the latest financial year by asylum seekers who have come by plane. This is a record under this government or the previous Labor government. 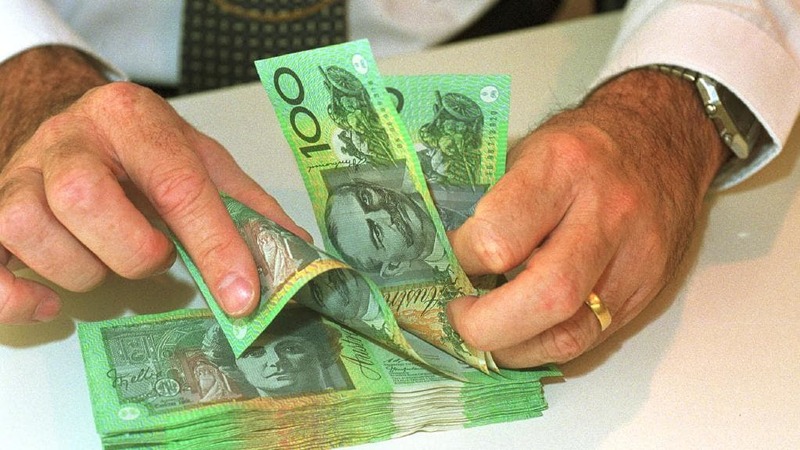 The previous record number was 26,845 in the 2012-13 financial year, under Labor. But that figure included 18,365 for boat arrivals and only 8480 for those who came by plane. And the figures for 2018-19 will by higher still. The surge of arrivals by plane requesting asylum has created a mounting backlog of applications, mainly from China, Malaysia and India, and is now taking up to three years to process, largely because the Home Affairs department is reducing its frontline staffing. The hypocrisy is mind-numbing. It also raises the question: where are these plane arrivals being accommodated? The numbers are too great to be sent to Christmas Island. Are they detained in special centres? Again, the numbers are too high for that. So how are we managing these applicants? No, they are living in the community, under protection visas that enable them to work and be exploited by unscrupulous employers. This requires a high degree of skilled management by people smugglers who liaise with local employers and receive ongoing commissions for their efforts. So which party is soft on border protection? Why are we not patrolling our airports, seeking out possible asylum seekers masquerading as tourists among the millions who arrive each year? Where is the outrage? Just to demonstrate that this past year is not a glitch, over the past four years since the government “stopped the boats”, 64,362 protection visa applications have been made by individuals who have arrived on tourist visas, by plane, under Scott Morrison and Peter Dutton’s watch. Meanwhile, a comparatively small number of refugees on Manus Island and Nauru, wait out a determined government’s refusal to allow them entry to Australia, for no other reason, than coming by boat. There is a high degree of organisation required to successfully pass through Australian Immigration, not just here but also at major departure points such as Singapore and Kuala Lumpur. This is a highly sophisticated trafficking operation and has placed our immigration officials under huge stress. Maintaining a constant supply of asylum seekers using the ‘fly-in’ model is proving more popular because it is more profitable. The more that come, the more difficult it is to process them. It is clear that by curtailing the boat arrivals, the government has indirectly encouraged people smugglers to develop new and more sophisticated methods of delivery, exploiting weaknesses in our processing procedures. One might argue that at least they are not risking their lives coming by sea. Really? Just when did it become popular to be concerned about people dying at sea while trying to get to Australia on leaking boats? It certainly wasn’t during John Howard’s time. Back then no one gave a rat’s hiss. Only when Kevin Rudd became prime minister did we begin to hear plaintive cries of concern for the safety of women and children. The hypocrisy was palpable. You will be hearing a lot about border protection over the coming months as we head towards an election. It will be unrelenting as the government tries to paint Labor as weak, all the while, hiding its own pathetic failures. The media will be fed the usual drivel, with no mention of those arriving by plane. Hopefully, the release of these figures will put an end to that. In 1975, the then Whitlam Labor government, which had been in power for just three years after 23 years in opposition, was being hounded ruthlessly and viciously by the press and the Opposition, over a series of events that pale in comparison with what we are witnessing in Canberra today. A seemingly innocent, if not poorly thought-through attempt to raise overseas funds for infrastructure projects went horribly pear-shaped. Ministers were replaced for misleading parliament and the whole affair prompted a calculating Opposition to block supply. This ultimately led to the sacking of the government by the Governor-General, on the grounds of ‘extraordinary and reprehensible’ circumstances. Comparing that episode in our political history with the farcical events of today, we must wonder why the Governor-General has not stepped in already, to resolve what is a much more serious example of ‘extraordinary and reprehensible’ circumstances. In just over five years, the government has had three prime ministers, lost its majority, refuses to account for the legitimacy of one of its senior ministers and has a serious undermining factional issue that threatens its ability to govern effectively. To ignore the oncoming impact of climate change, and trash a bi-partisan National Energy Guarantee (NEG) plan that would ensure distribution and supply of electricity, is a disgraceful abdication of its oath of office. The NEG was designed to provide certainty to the business sector and its future investment plans, something which is critical to the economic well-being of all Australians. 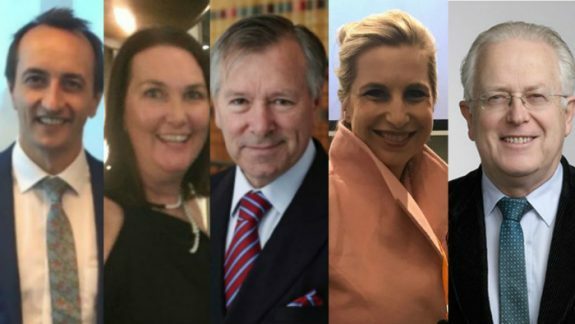 Then came the resignation of Julia Banks, the threatened resignation of Craig Kelly who is about to lose preselection, former prime minister Malcolm Turnbull’s call for an early election to save the NSW Liberal government and the very public statements of discord by Craig Laundy, Julia Bishop and others. It demonstrates all too clearly, the government has become so toxic, it cannot govern. The Labor Opposition has ruled out blocking supply, presumably to maintain the high moral ground and probably comfortable in the knowledge that a federal election is only six months away. Its consistent lead in the polls over the past two years almost assures it of winning in May 2019. But can we afford to wait that long? With such chaos in play, a prime minister who appears unable to control his party and the internal party blood-letting only threatening to worsen, surely it is time for the Governor-General to act. We are entering a critical time, economically and diplomatically and are entitled as a people and a nation to have this matter addressed. Our economy is slowing as we speak, in line with a slowing of the Chinese economy. Confirmation of this can be seen by the fall in clearance rates of weekend auctions in the housing market. They have fallen from an average of 69% a year ago to 48% today. Furthermore, our growth rate is insufficient to cater for what will be rising levels of job seeking in 2019. Tensions between the USA and China and the emerging conflict between Russia and the Ukraine will be a testing time. The present government has lost its credibility with our international partners and is in no position to deal responsibly with these issues. We need certainty in decision-making and confidence in our administrators. At the moment, we have neither. Without sufficient prompting, the Governor-General will not interfere. We need a movement to campaign for a March 2nd election. There are too many reasons not to act. The prime minister, Scott Morrison, is clearly out of his depth and his parliamentary and party woes further weaken his government’s ability and its competence. They should present themselves now to a bewildered and increasingly unsettled people. But they will never do that. The prospect of an electoral wipeout makes them shudder. They will stay in government until dragged kicking and screaming from the government benches. Something has to give. What will it take to mobilise a protest movement? If a small group of schoolgirls can mobilise a national one-day school strike on a non-existent budget to protest inaction on climate change, how hard can it be for Bill Shorten and the Opposition, Get Up, Change.org and other such groups with all the resources at their disposal, to mobilise and bring the government to account? We should be demanding an election on March 2nd, 2019 on the grounds of extraordinary and reprehensible circumstances, just as happened in 1975. To wait until May only allows this pathetic collection of misfits to inflict further damage on our economy and our international reputation. Professor Bill Mitchell’s blog, dated 22 November 2018, “Japan still to slip in the sea under its central bank debt burden” gives MMT advocates all the ammunition they need to present a case for greater fiscal participation in the economy. It signals quite clearly that government spending, not monetary policy (RBA interest rate management), is the more effective tool to bring about full employment and maximise the use of Australia’s available resources. For nearly 30 years now, the Bank of Japan, the nation’s central bank, has been buying government debt (deficit spending), to the point where its current holdings are now greater than the country’s GDP. Mainstream economists seem unable to connect this reality with their more dire predictions that Japan’s fiscal policy over this period, must lead to hyperinflation. It has done nothing of the sort. For the past 30 years, mainstream macroeconomists the world over, have been predicting the demise of the Japanese economy, claiming it will slip into the sea, that its debt burden is unsustainable, that there are limits to the amount of assets the Bank of Japan can buy. Each time their predictions have been proved wrong they have been forced to invent excuses, such as closed markets and cultural peculiarities. It’s all hogwash! What these Economists are really concerned about, is that by buying government debt and keeping interest rates low, the Bank of Japan is effectively preventing the commercial banks using the bond market to make profits. It has defied claims that currency-issuing governments like Australia, are captive to the yields in play on secondary bond markets. Australia currently has 5% of the workforce, or 700,000 people looking for work with a further 800,000 working less hours than most would prefer. This represents a huge underutilisation of available resources, yet our government and the media, via their economic “experts” claim our economy is humming along nicely. More hogwash! Our economy is underperforming. To the further detriment of our underperforming economy, it is just what our government wants. It might appear that they are concerned at the slow rate of growth and the low wages growth, but deep down, captive as they are to the demands of the big end of town, they do not want full employment, or any significant wages growth. Such economically beneficial activity would impact on the profits of commerce and industry, the source of their political funding. It is corporate welfare by stealth. 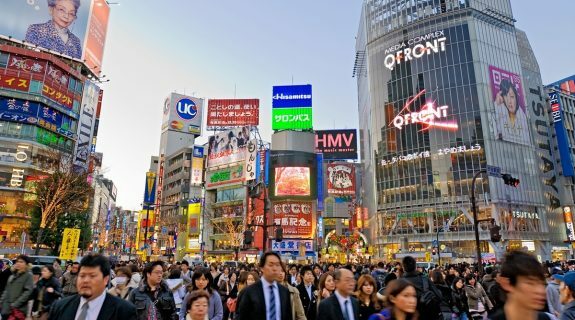 The state of the Japanese economy, proves that decades of deficit spending and huge injections of money into what was a stagnant economy, does not risk inflation when the injection is correctly targeted. There is no reason why we, in Australia, cannot do this and achieve full employment, a higher GDP, which itself will attract further private investment and in the process, improve living standards for all Australians. We can do this, if we can change the mentality that dominates current mainstream economic thinking. But, at the moment, our prime minister is so intent on fuelling an outbreak of anti-Islamic sentiment, for no other reason than to attract votes, that our economy is destined to continue underperforming. What will it take to get this simply message across to those in treasury who have the power to change government thinking? In 2013, after Kevin Rudd had been reinstalled as prime minister, he bowed, quite disgracefully, to Coalition pressure and reopened both Manus Island and Nauru as detention centres for those refugees and asylum seekers who came to Australia by boat. To his shame, he went one step further and made the political decision that such arrivals would never be allowed to come to Australia. In doing so, he believed he had shut down debate on the issue of the boat people. It was an attempt to clear the decks before calling a federal election. He made it Labor policy, it was enacted by a Labor government, but also subject to review after 12 months. It was a disgraceful decision motivated entirely by the fear of being wiped out at the next election. It was a blatant attempt to counter the relentless pressure being applied by the opposition who knew they were on an electoral winner. As we know, the Coalition won the election (or Labor lost it, depending on which way you look at it) and the new prime minister, Tony Abbott, handed control of the boat people over to the new Immigration minister, Scott Morrison. From that point on, the true colours of Scott Morrison and the more sadistic members of the new government were revealed. With the broader support of a soulless electorate, a quite deliberate regime of brutal, psychological bullying, that went far beyond anything Labor had intended, had begun. It continued, despite riots, deaths and serious medical issues being ignored. It continued despite attempted suicides, hunger strikes, sewing lips together, bashings by staff, all well known to the relevant department at the time, but kept hidden from the Australian public, until a few brave whistle-blowers spoke out. While protests at their treatment were held in all capital cities, those protests fell on deaf ears. But when the truth was out, it became clear to the government that their hard line was resonating favourably with the Australian people, so they did nothing to stop it. Fast forward five years to today and it appears there has been a change of heart, a conscience kicker, that has impressed itself in the hearts and minds of that same, once-soulless electorate. How noble of them. How proud we should all be. A galaxy poll this week tells us that 80% now favour the part solution offered by the New Zealand government to take 150 detainees a year. What has changed? Perhaps it’s the realisation that five years of torture, five years detention for no crime, five years of children knowing no other life, now suffering mental problems, is enough. Perhaps we have come to realise what a wretched, heartless mob of bastards we have become. But now we need to call the dogs off. So now we hear the calls…..Release them! Bring them to Australia. The punishment has been far worse than the crime. Think of the children, the poor children. Let them go to New Zealand. Bring them here. And so on. How noble of us. How Christian! 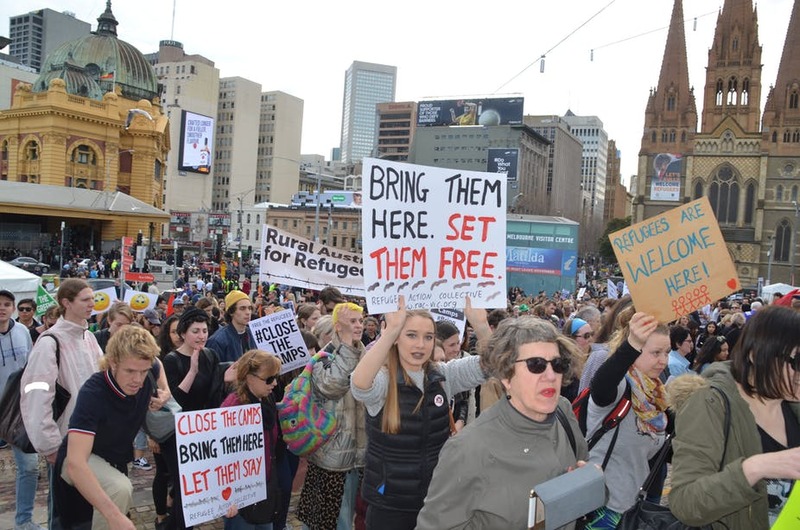 Yet still, the government, now led ironically by Scott Morrison, the original architect of a system that brought about the torture, the deaths in detention, both physical and mental, is holding firm. His asylum seeker solution, that previously carried the support of the masses, is now seen in a negative light by the very same people who once championed his heartlessness. But, thus far, he is not listening. The bulk of the Australian people, these conscience-pricked weaklings who never meant it to go this far, have suddenly got cold feet. How pathetic of them. They are running up the white flag. How ironic! Where was their conscience, two, three, four years ago when we collectively turned our backs on defenceless families who fled tyranny and political persecution in search of a better life? Well, Scott Morrison is having none of that. This self-professed Christian, this happy-clapper, reborn of, and celebrating the gifts, of the Holy Spirit, will not bend. He can’t. If he did, he would be admitting his boat people solution, the one he hypocritically blames on Labor, was wrong. So now, the relentless pressure he once placed on Labor, is now on him. What goes around, comes around. The Australian conscience, the one that went missing for five years, has found itself again. How so conveniently noble! If justice is ever to be served on this shameful episode in our short history, both Manus and Nauru must be terminated in totality. But not the memory. That should live on and forever be etched in our consciousness. Those camps should be retained as reminders of our past failures. Now, for the first time in five years, there seems to be an end in sight. But don’t hold your breath. It will take some doing for any politician to admit it has been a failed policy. And to help prevent it happening again, we should teach our children that just as we persecuted our indigenous population in past centuries, we also persecuted and tortured those who came here and begged us to help them, as recently as 2018. Well may we say, advance Australia fair. Because nothing will advance this shameful legacy. Labor may have started it, but Scott Morrison will forever, own it. What Can the Prime Muppet Do? For Scott Morrison and his Muppet Coalition Government, time is fast approaching the nervy end of an election cycle. 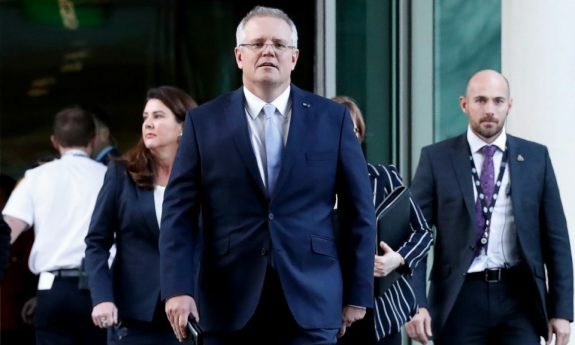 So far, he has given us every indication that the next federal election will be held on Saturday 18th May 2019, the latest possible date he can leave it, but will he wait that long? The result of the Wagga Wagga state by-election on Saturday was a disaster for the state liberal government and suggests a rough ride is in store for both state and federal members across New South Wales. With that in mind, a number of questions will be running through the brains trust of the Liberal party machine right now. Would it be better to go early? Do they want their campaign to be riding through the dusty, unpredictable trail of the NSW state election in March? Can they minimize the ongoing fallout from dumping the best leader they had, electorally speaking? Can they appear united? Have they a believable policy structure? Have they enough money to mount a competitive campaign? Do they have any quality candidates? Looking at things from the outside, the answers to all those questions would appear to be a resounding, no! And the longer they wait, the fewer options they have. The Victorian State election to be held in late November is another hurdle to straddle. Then comes Christmas, followed by the January holidays and the beginning of the school year. These are all periods where attracting the attention of the electorate is very difficult. There’s just too much going on. Yet, that might be Morrison’s plan. The more the distraction, the less attention paid to important issues, the better their chances of not looking like idiots. Can Bill Shorten and Labor cut through those distractions and convince voters he, and Labor, are ready? In all likelihood, he may not have to. After five years, we must wonder what Morrison has to sell that’s worth buying? Not much! Actually…….no, nothing. They have bluffed and lied their way through the most dysfunctional performance of this, or any previous conservative government. Their internal bloodletting has been on public view ever since Malcolm Turnbull succeeded Tony Abbott as PM. Actually, it’s much longer than that. So what can Morrison, the self-described muppet leader do? 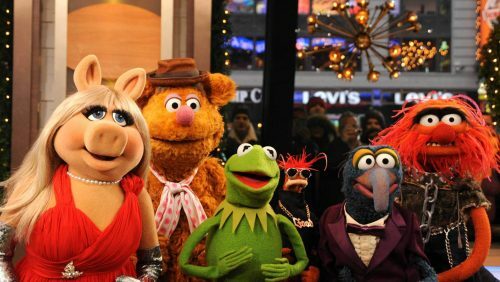 Current polling indicates his muppet coalition will lose government in a landslide. But, if he waited until May, could he reverse that? Could he get some lipstick on his pigs? One would have thought that trying to be heard across a minefield of distractions would be difficult enough. Expecting to come up with some jaw-dropping, knockout initiatives and reverse current polling trends, might just be a bridge too far. And what of Morrison’s own legacy? The thought of lasting even less time as PM than Tony Abbott must be haunting him at the moment. Would he want to continue his parliamentary career as Opposition leader? One suspects he would. And he might also be thinking, the sooner the better. Morrison’s best chance is to go before the end of 2018. Firstly, he can salvage some respect by relieving the voters of any more pain. But also, he can quite rightly, blame the loss, not on his leadership, but on the appalling behaviour of his party prior to him becoming PM. This gives him a launching pad to begin rebuilding the shattered skeleton of a party, that was once a government. Mind you, his own record as treasurer will bring him some pain as Labor restores some of the heartless, unnecessary spending cuts he championed against the easiest of targets, the most vulnerable. But, perhaps that’s a challenge he might find more appealing, rather than the humiliation that will await him, should he choose to wait until May next year.